For a band that has been around in one form or another since 1964, this band still pushes out their style of southern flavored rock with strength and focus that eludes much younger acts. "Dead Man Walking" is a rocking number with meaty guitar work, harking back to classic Skynyrd. 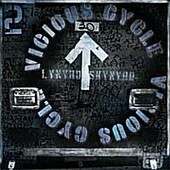 The first studio album in three years, Vicious Cycle is a collection of songs made of the same blood, sweat and tears of the old style of Rock'n'Roll that makes you want to grow your hair long and pick up a guitar. The Classic Rock sound of this CD has enough freshness to avoid being tired or formulaic, presenting this tried and true band that has survived so many trials only to continue to produce the music they love. More than "Free Bird" or "Sweet Home Alabama," Lynyrd Skynyrd is a living vital group still putting out great songs with story filled lyrics and tight music that stands strong like a brick wall. There is no mistaking it, this is an album with the Lynyrd Skynyrd sound, which if you're a fan you'll really like this album. Rating: B.